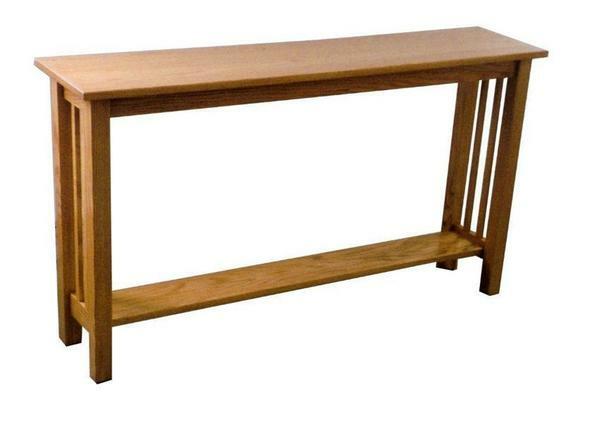 Call one of our Amish furniture specialists at 1-866-272-6773 for more information on our Mission Sofa Table! This Amish Sofa Table is available in Red Oak Wood, Cherry Wood, Hard Maple Wood, Brown Maple Wood, Quarter Sawn White Oak Wood, Ash Wood or Rustic Cherry Wood. After an order is placed, we are happy to send out finish samples on your wood selection free of charge. This will allow you to match your hardwood sofa table up to the other pieces in your home.